If you are a NEW CASH Patient, Dr. Mark will provide a consultation, examination, physical therapy modalities, an adjustment and a report of findings all for only $99.00. 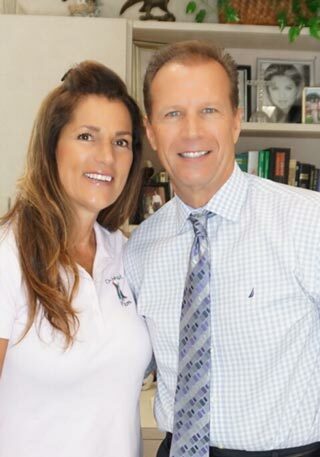 This will enable you to see the San Marcos Office and feel the benefits of Dr. Mark's awesome treatment with only a minimal financial obligation. If you only need an adjustment it's only $49.00. 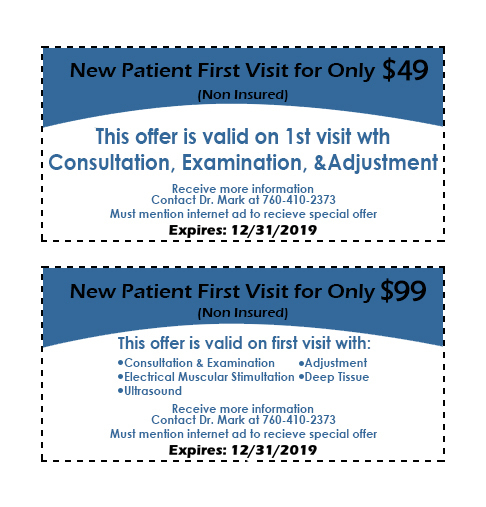 Future treatments are very affordable as Dr. Mark has many different programs to fit your budget as well as your needs. In the report of findings Dr. Mark will tell you exactly what is wrong, how long it will take and how much it will cost to fix your problem. So you have nothing to lose and everything to gain. Call the office now at (760) 410-2373 for a free consultation or to schedule an appointment today. It could change your life!! !